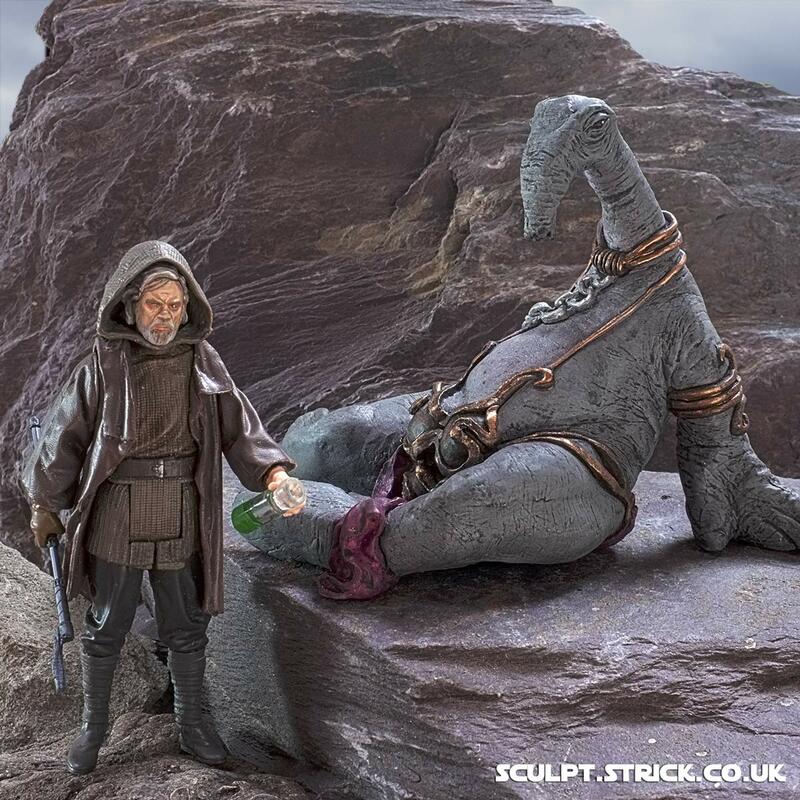 One of the most startling images in The Last Jedi was when Luke milked the Thala Siren, a huge gentle sea creature. 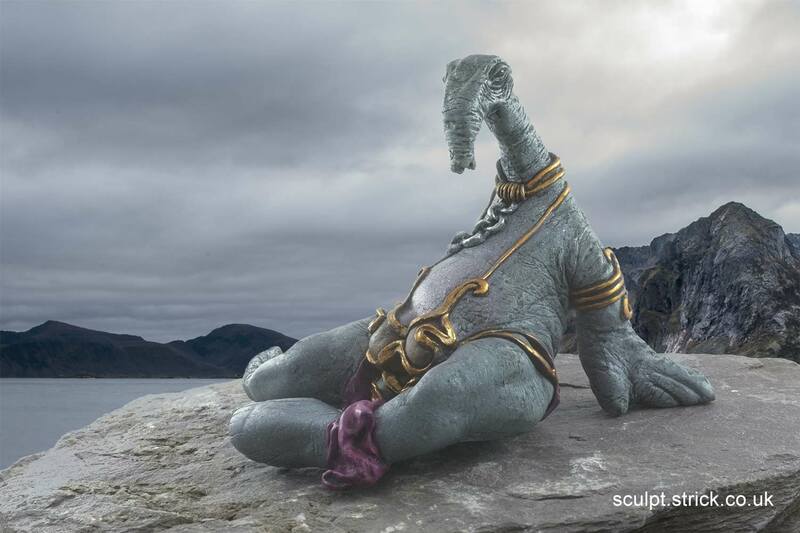 This enigmatic, reclining lady definitely deserves some love and respect. 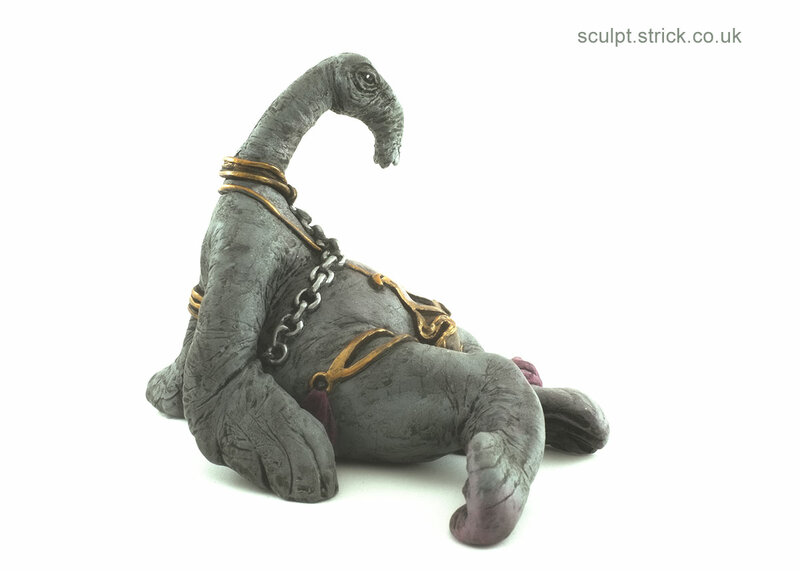 What better way to do her justice than to give her Leia's Hutt-slaying Slave outfit from Return of the Jedi? The figure is approximately 120mm wide and 90mm tall. Although actually a fractionally smaller scale than the traditional 3.75" figures, she displays well with them, pretty much looking them in the eye despite lying down. This limited edition art piece is hand cast in resin, hand painted, signed and numbered. I'll be dropping further small batches as they become available. If you've asked for email alerts, I'll let you know in advance. Please be patient, these are hand made and it takes time to produce each one. Thank you everyone for the amazing amount of interest! A limited number will be available at ToyCon UK 2019.